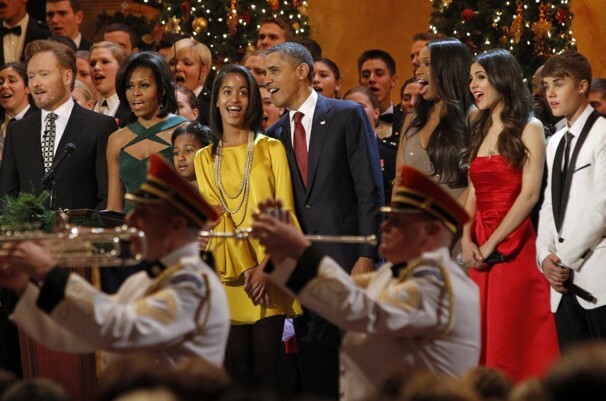 TNT’s annual holiday spectacular Christmas in Washington with the President. Oscar nominee, three-time Emmy winner and Tony Award winner Hugh Jackman is set to host TNT’s annual holiday spectacular Christmas in Washington. Jackman will introduce this year’s lineup of musical performers, including Backstreet Boys, Sheryl Crow, Anna Kendrick, Janelle Monae and Pat Monahan. In addition, the concert will feature a special guest appearance by NBA Hall of Famer and analyst for TNT’s Inside the NBA Charles Barkley. The star-studded Christmas in Washington will premiere Friday, Dec. 20, at 8 p.m. (ET/PT), exclusively on TNT. Celebrating its 32nd anniversary this year, Christmas in Washington is a holiday tradition benefiting the Children’s National Health System. The concert is attended each year by the President and First Lady, as well as many other Washington VIPs. This will mark TNT’s 15th year presenting Christmas in Washington, which will be taped at the National Building Museum in Washington, D.C., on Sunday, Dec. 15. The 25-time Emmy-winning team of George Stevens, Jr. , Michael Stevens and David Paley are the show’s producers. Bermuda Limousine International will be the official limousine company for Christmas in Washington and TNT under the direction of Billy Amato. Tags:Bermuda Limousine, Billy Amato, Christmas in Washington, Official Limousine Company, Washington D.C.